So I got this skirt from Old Navy for only fifteen dollars!! Great deal no? I love finding deals like this! It makes shopping so much more fun, because you're getting new clothes, but at the same time you're not spending loads of money...so no guilt haha:) I love this skirt though, I think its so appropriate for Spring with the bright neon pink, and I'm obsessed with stripes so this skirt got my attention instantly. If you go to my closet you'll notice that most of my clothes are stripes! But I decided to pair this skirt with a printed tee I got awhile ago at Target. It was something that I haven't worn in awhile but I love the pattern and thought that it would look really cute with the skirt! What do you think? I'm loving it, and I'm loving that I got to wear something that I haven't worn in forever. 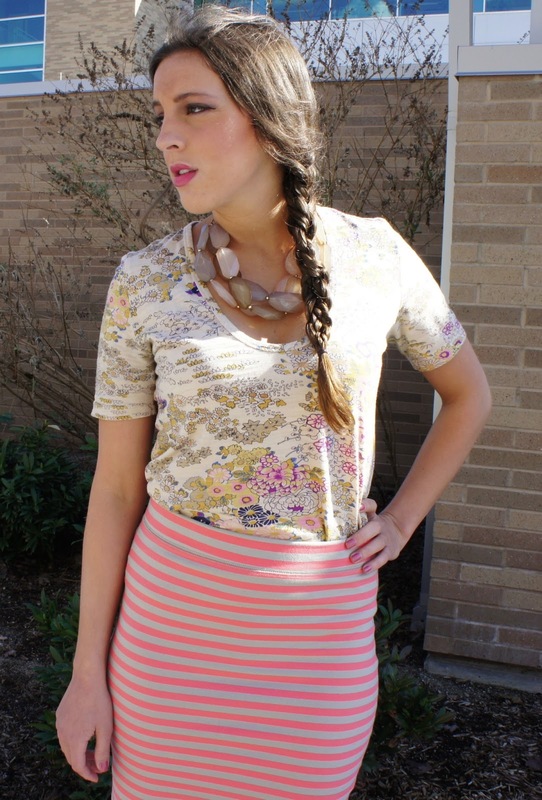 Don't forget to enter the Francesca's Gift Card Giveaway here! So so pretty! Love the colors in your shirt and skirt. That really is a great deal! I'm also a huge fan of stripes. Aren't they great!! :) Thanks!! YOu look great love the mixed! that skirt is soooooooo cute! 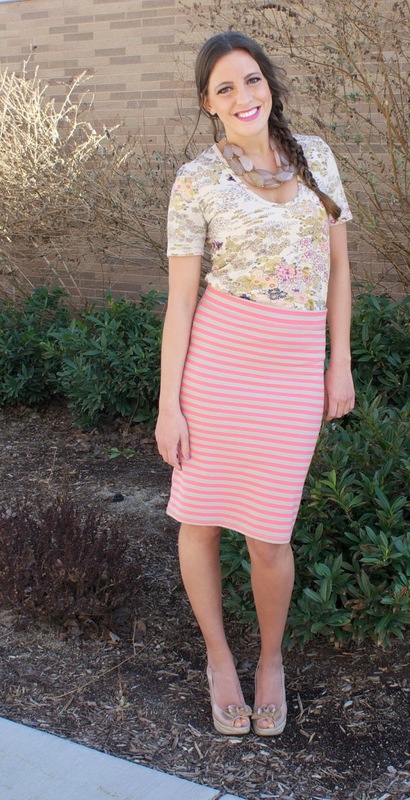 I love the spring colors of that skirt, and great deals are always fun!! Eek! That skirt is so major! And I love your chunky necklace!! Found ya on Stef with an F! Looking forward to following via GFC! Thanks so much:) You're so sweet!! Really cute outfit :) you little beauty!